Birdsong Nature Center's 565 acres of wildflower meadows, forests, ponds and swamps, are home to a myriad of birds and other wildlife. Here you can enjoy the serenity and beauty of the natural landscape and return home with a renewed spirit. From the early 1800's to the present, the land now known as Birdsong was transformed from pristine longleaf pine forest to a plantation, then farm, and now a center for conservation and learning. Founders Betty and Ed Komarek created this haven for wildlife so others will have a place to experience nature and become inspired to protect natural resources everywhere. Using fire, they created habitats that support a great diversity of wildlife species. The resulting living museum and outdoor classroom are used year round for natural history instruction and hands-on learning. 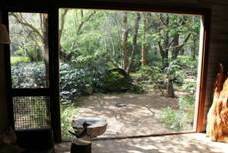 - Visit the Bird Window for an extraordinary and intimate bird-viewing experience. The surrounding gardens and pool have attracted over 160 species of birds, including many rare and first sightings. 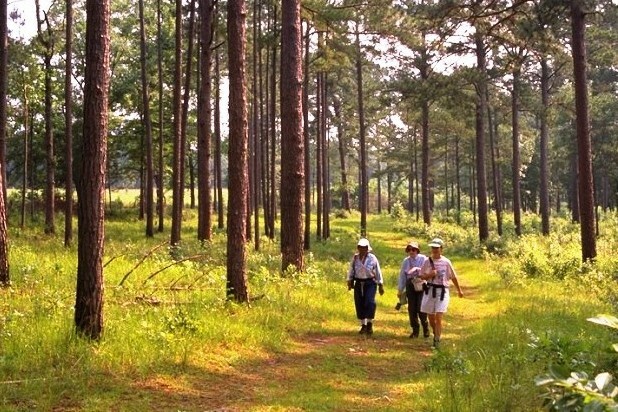 - Twelve miles of Nature Trails provide the perfect setting for casual hiking and exploration. - The Butterfly Garden, vibrant with colorful butterflies from April - November is an entrancing place to relax and observe the butterfly life cycle. - Tune in to the sounds of nature at the Listening Place, a screened pavilion overlooking Big Bay Swamp.